A few days ago on Facebook, a guy got completely obsessed over his idea that the victim of theft has no right to trespass onto the thief's property to get back the stolen goods. Are you obligated to respect the property rights of a person who has demonstrated that he doesn't believe in property rights? Well, maybe. Chances are, he does believe in his own property rights, while making the conscious choice to violate yours. Just like a murderer doesn't want you to kill him in self defense-- and you still have every right to do so. No, a thief can't "lose" his rights by his act of theft- rights can't ever be lost; that's not their nature. You can't magically get new rights, which didn't exist before, by someone else's wrong act. He had no right to take your property. You have no right to trespass. You also can't delegate rights which don't exist to someone else-- such as, under the current situation, cops, or in a hypothetical free society, "property retrievers". I have always said that if you feel you must do something you have no right to do, do it and accept the consequences. That might mean getting shot while trying to retrieve your property. It might mean (in a free society) facing arbitration for trespassing. If you were truly retrieving property which had been stolen, that would be taken into account when deciding how much restitution each party owed the other. You might owe an ounce of silver for trespassing and for any property damage you caused while doing so; the thief would owe restitution to you for the same acts, which would cancel out. He might also owe you for your time, trouble, and labor which was necessary to get back your property because of his act of theft. 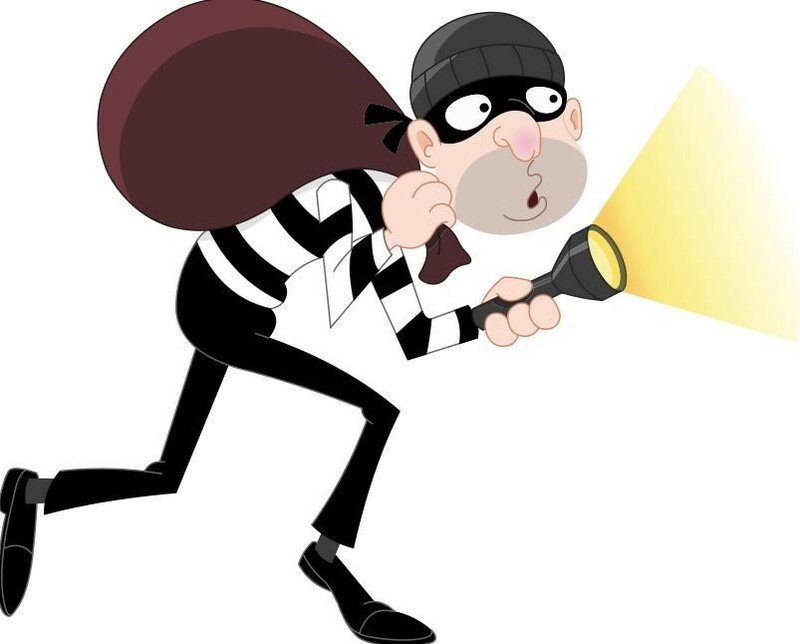 The thief would end up owing more as long as you didn't wantonly destroy his property as a way to get back at him while retrieving your own. If you respect the Zero Aggression Principle things will always work out in favor of the person who didn't "start it"-- if it favors anyone at all. Still, you might decide that knowing who is a thief, and advertising that fact while avoiding (and keeping an eye on) this person is good enough. If everyone knows what he is, he may not live long unless he changes his ways. Your response is up to you. I'm not going to second-guess a person who trespasses to retrieve his stolen property. There is a libertarian philosophy, to which I subscribe, that believes that the "initiation" of aggression by an individual, leaves that individual open to retribution until compensation is made to the victim and the victim is made whole. The time lapse between the initiation and making the victim whole is irrelevant. I'm sure I have not explained this properly but I hope you get the drift. If a perp. commits murder and someone goes after him to bring him to justice, they are not "initiating" aggression by capturing him, even if they use force to do so.